I've been a Jewel Kade "stylist" for a little over a year now, but haven't ever really shouted it from the roof tops. Breeding cows and other ranch life takes priority, and there just hasn't been a lot of free time to "party". I love the jewelry and have ordered lots of things for myself, and gifts for others, but otherwise I haven't really shared the JK love much. Jewel Kade just unveiled their new website and it is SUPER easy & quick to use, and host online parties with! So that gave me the jump start to host my first party. And it's online. An even better fit for me. And maybe for you too? 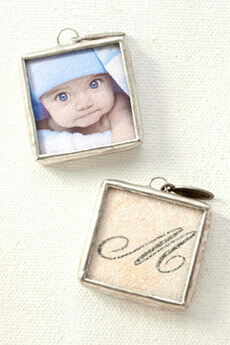 Also - Jewel Kade offers custom designed canvases that are so personal. Click on the "JK Studio" to get started designing your own canvas. I promise you - it could not be easier to make a timeless piece that you'll cherish for years! For those who do make a purchase in this online party by next Friday, I'll enter you into a drawing to win the awesome (and highly coveted, since it's now retired) Enchanted bracelet! But you have a chance for it to be yours! Just link to the party here, place an order, and I'll enter you into the drawing. 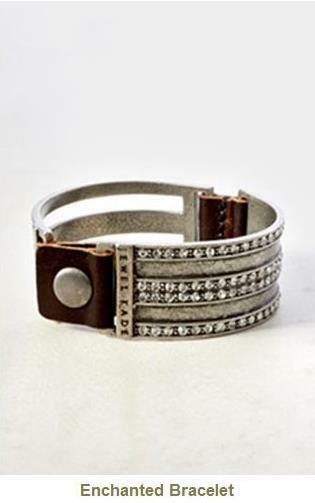 If you love this bracelet and don't want to risk not winning it....it is on FLASH SALE here. They're first come, first serve - so if you want it, you should hurry! If you buy it, I'll still enter you in the drawing....then you'll have one to keep, and one to giveaway as a gift if you win! These are now sold out - sorry! But you can still be entered to win one for yourself! 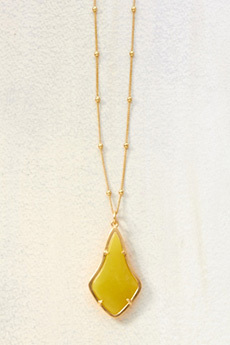 BUT BEFORE YOU START SHOPPING - DO YOU WANT TO SEE SOME OF MY FAVORITE JK PIECES??? One of the pieces I wear most often is my Jack Tag that says "Ranch Wife". 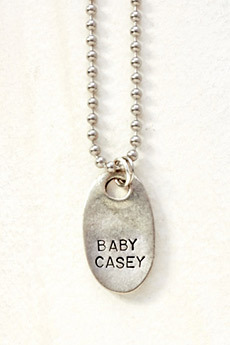 You can customize this necklace with up to 8 characters on the first line, and 7 on the second. I also added a crystal drop to mine to give it a little more bling. How fun would this be for a graduation present? I wear this all of the time on it's own. 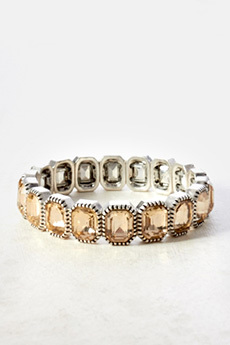 Since it's a mixture of metals, I can pair it with a variety of jewelry, and then I usually wear stacked mixed & matched silver and gold bracelets with it. 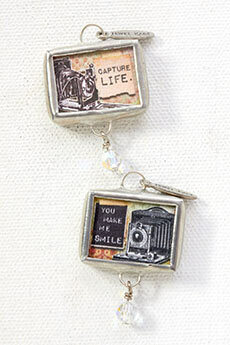 I wear these two charms all of the time, but Jewel Kade has a great selection of custom charms that fit a lot of different personalities and lifestyles. 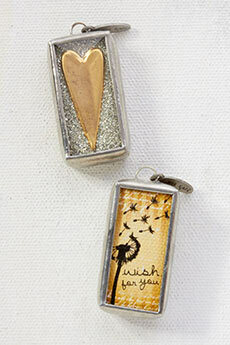 You can even make a photo into a charm! And a few items I don't own, but would love to! 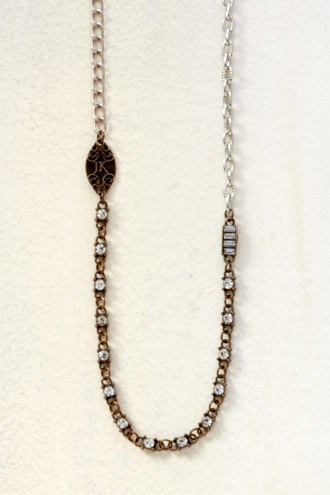 These necklaces are so pretty. However, I can't give myself permission to own either of them because I am a Beaver's fan. And OSU fans don't wear green or yellow. LOL. 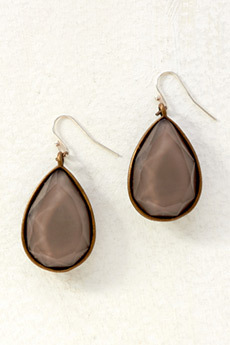 Everyone seems to be sporting stone drop earrings this year, and these are neutral enough to go with everything, yet bold enough to make a statement! They're so current, yet so timeless. I can see the champagne stacked with other gold & coral bracelets, and the clear stacked with a fun turquoise beaded bracelet! There are so many fun items, it's hard to choose! So to recap, the special link to the party is here. Any of the linked items above will take you to the party as well. 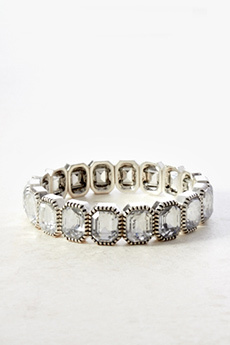 The giveaway for the Enchanted bracelet will be announced next Friday! Again, there's no pressure to order but if you have questions, send me an email at darcysexson@gmail.com. PS - If you want to host your OWN online party and earn host rewards; June is the month to do it since host rewards are DOUBLED! Contact me for more info and we'll get you set up to party!